Cities depend on transportation. Cities are created by density. The future of cities will depend on the transportation advances we create and whether our cities will continue to sprawl or become more centralized. The first true cities were crowded and polluted, filled with disease. Cities were dense due to no mode of reliable transportation except walking. That’s why we only see the size of cities reach “a limit”. Take Rome for example, when Rome reached it peak population before the industrial revolution the population was a little over 1 million people. Once we discovered fossil fuels, cities were able to expand due to the speed and efficiency of trains, planes, and automobiles. The introduction of fossil fuels also led to an increase in incomes across the world, which led to quicker implementation of this new technology. But now people are realizing the harmful effects of fossil fuels and the limits of the automobile are being reached. Residents are starting to move from the suburbs back to urban centers. The future of cities are going to be dependent upon the technology advances we make in transportation in order to accommodate this shift. 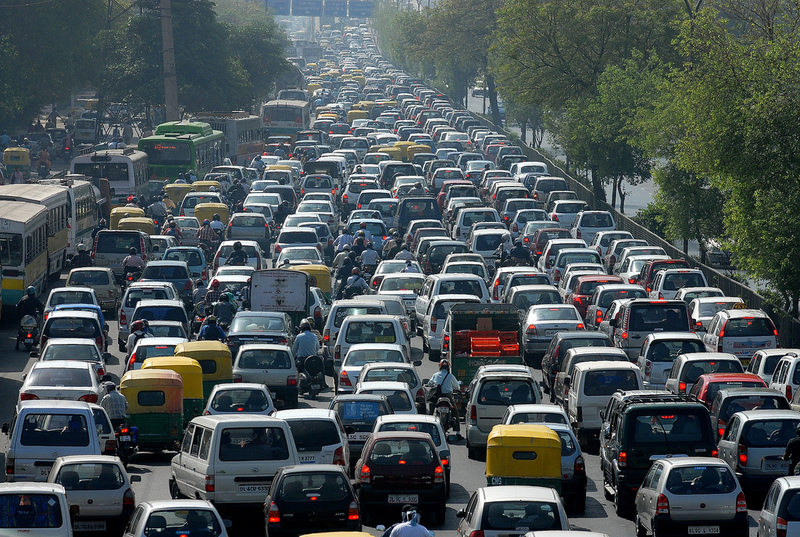 Traffic is the major issue with future cities. For example, people spend on average of 1hr and 45 min in a car in Sao Paulo, Brazil. If people lived closer to where they work, corporations would save billions on lost travel time due to traffic congestion. New technology advances will help shape future cities, such as autonomous cars and the integration of Elon Musk’s Hyperloop technology. Young people inside urban centers have already abandoned the notion of owning a car, and autonomous cars will further accelerate this trend. You will never own a car, instead apply to a subscription program with BMW, Telsa, or Uber and a car will pick you up whenever you want. Instead of having massive parking lots and road infrastructure, we can reduce the size and cost and become more efficient. We would require less roads and spend much less time commuting due to the efficiency AI provides. Therefore leading to denser cities, less wasted time, and a higher overall income. Hyperloop would replace planes and serve as high speed access between major metropolis areas. Cities will revolve around the center of the each hyperloop hub and not the interstates that currently connect cities. No more heat islands created by parking lots and more area for building footprints or outdoor space. Hyperloop would essentially serve fast transportation from major metropolis and autonomous cars would serve as local transportation. Future cities will have to become more efficient to sustain rising populations, we cannot continue a pattern of urban sprawl that has taken over fertile farmland and forests. People are willing to live in cities again and we are running out of space to build. Ideally, cities could be sustainable with no roads and we would revert back to walking to and from. We see communities becoming self sustaining with the help of new technologies to grow food and harness energy.